Years ago I practiced Tai Chi and Qigong—martial arts both physical and spiritual— which offer so many benefits to those who follow those traditions. A central element of these Eastern arts is balance, as reflected in one of the forms—the title I chose for Open Link Night. Many poets are nearing the end of NaPoWriMo. Many have committed to writing and, perhaps, posting a poem a day. Others of us are going through all the activities that come with the changes of seasons—whether raking leaves down-under or pulling weeds and planting gardens here in the Northern Hemisphere–all of this in the middle of the demands of every-day life. We are busy—often too busy. And that is when it may become so hard to achieve balance in our lives. As April winds down, let’s take a moment as a community to consider what it is we do to create balance in our lives. What do you do to integrate work, family, exercise, leisure and spiritual commitments with writing, posting, reading and commenting on your blog? I hope some of you will jump in and share your ideas, perhaps support a tired poet, giving him or her encouragement to keep on. This is Victoria, your pub-tender today, looking forward to reading your ideas and poems. And don’t forget–the link for Monday Haibun is open all week with the poignant photography of Sue Judd and the thought-provoking theme of “beauty in decay” to tickle your creativity. 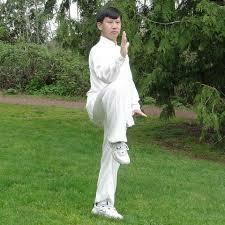 Here’s a link to an instructional video for the Tai Chi form, Golden Rooster Stands on One Leg. Balance exercises are so important, especially for those of us who are older, to help prevent falls. Hello Victoria, not sure, if the poem that I wrote, yesterday, should be shared here, today, given your gorgeous introduction for today’s open mike, given the dark topic around death and the right to assisted death, and the stigma attached to mental illness, with the developing debate, in Canada, over assisted death. But, in a way, it does velve into the question of balance, between life and death, peace and pain. For I do have an alternative selection, to post here, depending on your judgement, Victoria. These are important issues, Therisa, and in my opinion each person should be able to express their views, respecting others. And my hope would be that others will also respect you and your views. therisa, sometimes balance means allowing the darkness to get out. Your thoughts are always, always welcome, for me. It sounds to me as though you have a wonderful recipe for balance, Toni, and I can see it in your writing. The care-giving thing is hard. When I did hospice (in-home) I was forever reminding caregivers of the importance of self care–but last year, after David had his surgery and couldn’t do a lot for himself for a couple of months, my thought was–care for myself? When? Right! Sometimes I don’t sleep much at night to have that time. But I am an expert now at snatching a few minutes here, a few there. And there is always the bathroom and my handy towel. And sometimes…I chop wood!!!! Cooking is always a great meditation. So often I can just block out things around me and dive into a recipe….and it benefits everyone! chopping wood sounds like a great stress reliever! Sometimes a long bath — just savoring the water round us. Love this, Toni. So important to fill your own cup, and sometimes fill it FIRST. Like they say on the airplane, right – secure your own oxygen mask first, before your child’s, or someone you’re caregiving for. It’s counterintuitive, but sooooooo important. I used to do Tai Chi many years ago. It’s great for balance. As for work, life, poetry, writing balance, I don’t think I’ve figured it out yet. For today’s poem, I decided to share an extra that I wrote yesterday. It was inspired by the Tuesday prompt in that there was one poet who it seemed was talking about me, but of course I concluded I couldn’t possibly have a secret admirer among the dVerse crowd so I had to be mistaken. Who knows — it was all anonymous. 😉 At any rate, it got me thinking about how people who only know me through my poetry see me differently from people who know me in real life but don’t read my poetry. Well, I’m off to get lunch and will be back shortly for some reading. I can relate, Linda. My time is so limited outside of work that I have had trouble balancing writing with the rest of my life. Such a small window to squeeze it all in. I dream of retirement …..some day. Mish, I hate to be the one to break it to you, but I’m retired and I still can’t find time to do what I want to do. As I say often, retirement is a big myth. I too thought of you when I read it. And when I read one that very obviously was about me, I felt a bit like a phony. What we present and who we are are often at odds with one another. As of few years ago, my full-time job is to deal with the demands of my ailing body. When I first got sick, I thought I would have to stop writing–there is so much I have to do to stay as healthy as possible: exercise, therapy, hospital… writing seemed out of my reach. Then I started missing it too much, starting feeling empty of energy and too full of stories… so I did what I could to make writing part of my new way of living. Before getting sick, I only wrote fiction. I started writing/reading poetry because the shorter form was easy for my tired mind and flesh to absorb and play with… it helped bring my balance back. When it comes to writing and reading and blogging, each person needs to figure out what it is that they want and need out of it, once that’s accomplished (or explored) then one needs to commit. It’s easy to say I’m just too tired, but when we need to shape our words into the light we find a way. And each path is crafted by each individual. The key, as you suggest, is balance. We can’t try to do too much or too little, just what we need and what makes us whole. That’s what I think. I relate to much of what you wrote, Magaly–chronic illness takes so much out of a person. I’ve written 2 novels, have an idea for a 3rd, but not sure my body will go along with it. I think poetry has been an answer for that in so many ways, especially the Haibun where there’s a chance for a bit of prose and poetry. Also, I think dealing with illness or any sort of pain deepens our writing. I bet you find the same. Isn’t it something how, when overwhelmed, our bodies say, “Enough, already–I’m going to get sick so you will slow down.” I share that feel of overwhelm so far this year and so far it’s treated me to a bad URI, shingles and…enough, already. Feel better, take care of yourself and go take a nap. Oh Victoria…..take care of yourself! “Listen to your body” is always a wise statement! ‘Tis all okay now, Lillian. Thanks. Perhaps that Google-Wordpress thing. Sorry, Annell. I recommend going to a concert and let the music sooth you. Now I’m rad to do my first round. My poem today is not very encouraging – more dark I think. and mine is dark as well…not my usual form or take on life. Oh well. I’m heading out for a walk in the woods…need to hug my BFF tree. Smiles. Nature is so healing. The concert sounded so good. T’s 4th (can never spell his name right)? I have classical music on in the background as I read and comment. USC has a radio station that plays it 24/7–wish we had something like that in Reno. I am so sorry – the shape disappeared once I posted it! i swear i’ll get around to replying and commenting sometime in the next couple of days – my finals are coming up and i’m absolutely swamped. i look forward to reading all your lovely poems! Finals? Ugh. Clearly a priority. yes, unfortunately, haha! but i’m getting around to reading & commenting now and it’s such a delight to find that even when i wasn’t able to reply quickly, people still popped by the offer insights! i honestly love this community. I have so enjoyed reading the secret admirer poems and attempting to guess. Some pop right out at me and others I have to think about. Rainy day today. Time to go for a walk in the woods and clear out my dusty brain. See you all later!!!! Hi Victoria, thank you for hosting today. It seems my poem fell into line with your theme of balance (without me knowing ahead of time.) I practiced Tai Chi many years ago for a short time and really enjoyed it. I’ve also practiced yoga and meditation on and off through the years both of which can be very focusing and relaxing at the same time. Definitely fit the theme, Gayle. I’m thinking of going for yoga classes when I get home. I chose the topic of balance because I’m so out of whack right now! You are not alone, Bryan. There are more poems to read but I am balancing packing and reading so will take a little break now to follow Toni’s example and take the dogs for their noontime walk. Back soon. Here’s to all of us finding our balance in whatever form it takes to get us there. Lillian’s idea sounds fun (I’m off balance, too). This just makes me wonder if some of the goals we set for ourselves are just unreasonable. NaPoWriMo is a great concept. I’ve signed up before but it almost shut me down and I had to bow out. Now that’s just me–I would never want to discourage anyone. I have to remind myself that it’s okay to take a break now and again. Oooh, that fine line between being dedicated and becoming compulsive. But that’s for each of us to figure out. Hello everyone! Late to the bar as I was out with my hubby to see a free concert at the Boston Public Library. Every Thursday from 2 to 4 PM they have a program called the Never Too Late Group. The website says it is the oldest senior citizen group in the country. Although anyone can go to their programs. Wonderful brass quintet today 🙂 Walked all the way there and took the T back. We sold our car when we moved to Boston in 1997. I was blessed to take Tai Chi in China, for 6 days running, from a man in his 80s who was the sweetest most calm person in the world. I loved the quite flow, balancing, the beautiful hands. I’ve recently started a once a week Tai Chi class at my health club — literally a 5 minute walk from our condo — we live right IN the city of Boston. S0 — I am here to tell you BALANCE and handling stress is KEY to a healthy life! Oct 14, 2013 my husband suffered a 6 minute cardiac arrest outside our building. So many angels along the way — woman walking behind him immediately started CPR. We live literally across the street from the Mass General Hospital campus so EMTs were on the scene quickly — had to shock him twice to bring him back. In CICU they lowered his body temp for 24 hours, put him on a paralytic drug so he would not shiver — on life support. I was told 5% of people who suffer cardica arrest (very different from a heart attack) outside a hospital survive. Of those 5%, less than 5% come out of it cognitively okay. He “woke up” 1 hour after his body was warmed back up and they stopped the paralytic drug — and he WALKED back home (across the street) with the help of our daughter and son, 100% cognively himself. 8 months prior to this, our daughter-in-law at 37 was diagnosed with Triple Negative Breast Cancer…..she has not been cancer free for 3 years — the magic milestone for this type of BC. Stress? Even though retired (I call it rejuvenated) – I could not believe all that was happening. And here it is folks — the reason why BALANCE is critical — especially for women. I had anxiety attacks after all this — but sought help. And then one day, got off the elliptical and thought there was an elephant sitting on MY chest! Turned out, after cath lab and tests, I had what was called Takotsubo (Broken Heart Syndrome). The heart “blows out” into a wierd shape, (the shape of a Japanes octupus bag – really – first diagnosed in Japan) and it doesn’t pump as well. It is caused by stress — and I thought I was doing well. SO — long story — sorry folks — slow down! Take care of yourself. Listen to your body! Yoga, meditation, deep belly breathing, in addition to eating well and GETTING SLEEP. Am I lecturing? Sorry…. But Victoria, you’ve opened the door here and it is a critical one. For me, I am thankful for every day — my starting an online poetry class in February 2015 was the beginning of daily early morning writing — a time for me. Ugh — way too long here. But the point is — for all of us. Our poetry is a communication with our soul, our being, our needs. Not to worry if it doesn’t sound “educated” or “stilted” or “fancy” enough. We write for ourselves primarily and then, with dVerse here, we share and support. Okay — done! I posted a FUN piece this time…………if you’re needing a smile, mosey on over to read my fractured fairy tale. Always good when we don’t take ourselves too seriously! TMI? Too much information? But for a good cause. And I type 80 wpm so it’s like I’m talking here! 🙂 BALANCE — great topic today! Happy Thursday all — thankful for every day! 🙂 Take a breath…a deep one…and be thankful we can. Thanks for sharing, Lillian, and you are so right with your advice to take good care of ourselves. Broken Heart Syndrome, my goodness, but it makes perfect sense that our hearts do “break” when so much stress is heaped upon us and our family members are suffering. This is a really good and important share, Lillian. The story about your husband is tinged with the miraculous. But the point is critical. You and Bjorn and your concerts. For my part, all day I’ve had my radio tuned into a station from USC that features 24/7 classical music. I find that so soothing. I will miss it when I get back home. WOW, Lillian. I knew there was so much depth and life to you…but really had no idea. You’re amazing. This is important advice. Comes from the heart, mu friend. Literally. Hello everyone. Finding balance between work, family and writing is not easy, but I try my best. That’s all one can do. I posted a poem that was inspired by the Secret Admirer prompt earlier this week. I didn’t write about admiring a poet, but wrote an acrostic poem about admiring someone afar. Looking forward to reading everyone else’s poems. Welcome, Arcadia Maria. I look forward to reading your acrostic in a few minutes. The rest of the time, yes. Balance is key. Now…where did I PUT my keys? It does indeed. I love chai tea! 🙂 Perhaps you could take a sip while doing a downward dog (yoga move). I read somewhere that drinking upside down is good for the nervous system? HILARIOUS! I just had my hubbie come in and read it! 🙂 LOVE it. Dinner time….will go back to the post and comment there. It is priceless! 🙂 Thanks for making me laugh out loud. Actually almost spit out my mouth of chardonnay! Thanks for hosting Open Link, Victoria! I posted a rather serious poem, perhaps not to everyone’s liking. But it was what was on my mind. As far as the subject of keeping balance in our lives, I think this is something we all struggle with. I think we each need to discover and honor what (and also WHO) is important to us & focus on those things and not be pulled in all kinds of different directions. I have a busy few days ahead of me. I will comment on some poets that are generally reciprocal today. If anyone else comments on my poem over the next few days, I will eventually visit….but ‘real life’ will be pretty busy & I may not be prompt in commenting, which is UNLIKE me. Yes, it is unlike you, Mary–and sometimes that’s just life. Wise thoughts here from you, my friend. We have just emerged from two weeks looking after three small children, 3, 8 and 10 while mum and dad were away, and getting on top of the unpacking and sorting since returning home to Australia and I begin to see glimmers of opportunity once more for poetry. Nice to have the time. Nice to have you here.. it’s been a long time. I bet the time you shared with those little ones was precious, though. Welcome back to the world of poetry. Hello, friends! I meant to link yesterday so I’m late but at least on time to link. My offer is a take on an image prompt from another writing group. It’s been a busy month! I didn’t write every day but I sure did write a lot! I like what prompts bring out of me but sometimes it’s nice just to write. I’m making this short because I want to read people’s links! Have a nice weekend it’s approaching. So glad you made it, Bekkie. I enjoyed your poem. Hope to see you often! I’m in with a bit of (serious) whimsy.